Wondering how a data scientist makes advances in his data career? Or how does he expand his skills in the future? Reading is the most common answer; nothing helps better than keeping a close eye on the industry news. Data science is evolving at a rapid speed; to be updated with the latest innovations and technology discoveries would be the best thing to stay ahead of the curve. If you are a newbie in this field, make sure you are well-read about the current industry trends and articulate it well to the HR heads that you are someone who is always a step ahead to consume knowledge about data science and its related fields. This helps! A wide number of data science blogs and articles are available over the internet, but with so many options, it’s easy to feel lost. 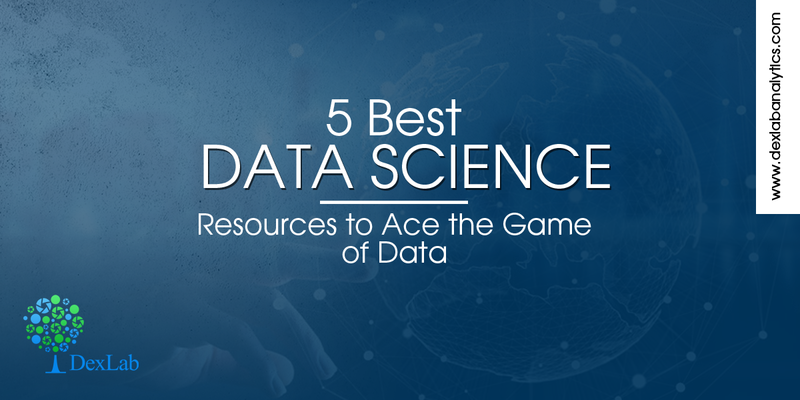 For this and more, we have compiled a comprehensive list of 5 best data science blog recommendations that would help aspiring data scientists maneuver smoothly through this sphere. For a one stop destination for all things DATA, Data Elixir is the right choice. Crafted by ex-NASA data scientist Lon Riesberg, Data Elixir offers a list-wise view of the posts; easy categorization of content is anytime preferable and renders easy search options. The brain child of Hannah Brooks and Sebastian Gutierrez, Data Science Weekly is the ultimate hub for recent news, well-curated articles and promising jobs related to data science. You can either sign up for their newsletter or simply scroll through their archives dated back to 2013. The Analytics Dispatch is more like a newsletter content creating hub, wherein they send weekly emails about data science related stuff to its readers. Collected, analyzed and developed by a robust team at Mode Analytics, which also happens to be an Udacity partner, the newsletters focus on practical advices on data analysis and how data scientists should work. To read some of the most amazing articles on AI and data science, make O’Reilly Media’s data science blog your best companion. The articles are curated, researched and written by influencers and data science pundits, who are technically sound and understands the advanced nuances of the field in-depth. Being top notch big data software, Cloudera’s contribution to the world of data science is immense. Time to time, it publishes interesting articles, know-hows and guides on a plethora of open source big data software, like Hadoop, Flume, Apache, Kafka, Zookeeper and more. Besides, DexLab Analytics, a pioneering analytics training institute headquartered in Gurgaon, India also publishes technical articles, amazing blogs, riveting case studies and interviews with analytics leaders on myriad data science topics, including Apache Spark, Retail Analytics and Risk Modeling. The content is crisp, easy to understand and offers crucial insights on a gamut of topics: it helps the aspiring readers to broaden their horizons. The realms of data science are fascinating and intimidating as well; but with the right knowledge partner, carry suave data skill in your sleeves – Data Science Courses in Noida from DexLab Analytics are the best in town! Also, their Business Analytics Training Courses in Noida are worth checking for.